Audi is starting the Auto Shanghai 2019 motor show with two world premieres and a whole series of national innovations. The brand is presenting the visionary Audi AI:ME concept car in the southern Chinese metropolis. In addition, two electric models will make their series debut in Shanghai: the Audi e-tron* and the Q2 L e-tron, which was designed especially for China and is built in the Foshan plant. The compact SUV, which will be delivered to the first customers in the summer of 2019, is even experiencing its world premiere in Shanghai. The body of the Audi Q2 L e-tron is 33 millimeters (1.3 in) longer than that of the basic model. The car is powered by an electric motor on the front axle that mobilizes 100 kilowatts and 290 newton meters (213.9 lb-ft). With a battery capacity of 38 kilowatt hours, it has a range of up to 265 kilometers (164.7 mi), determined according to the local homologation procedure. The second generation of the Audi Q3, which is having its national sales launch in Shanghai, is also being manufactured in China. The family SUV not only looks more self-confident but is also roomier and more versatile. Just like the Audi top models, it features a digital operating and display concept, extensive infotainment solutions and innovative assist systems.Chinese customers can choose from three four-cylinder engines ranging between 110 and 162 kW (150 – 220 PS). 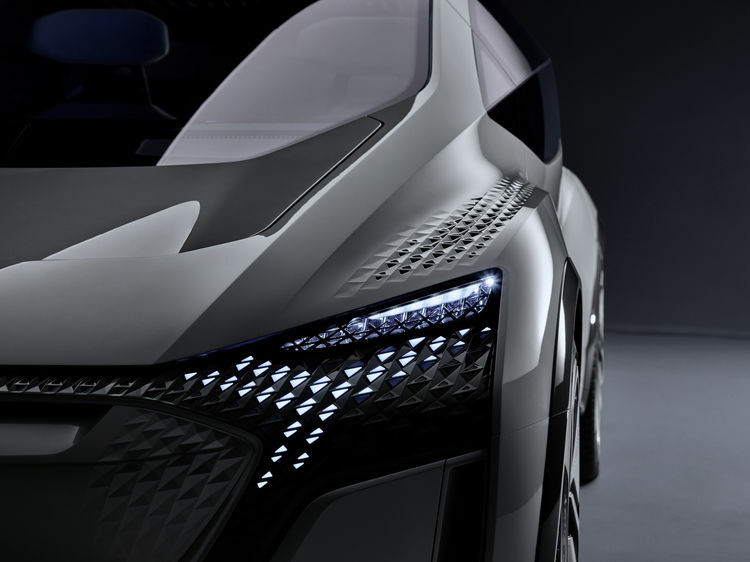 Another highlight of Audi’s presence in Shanghai is the world premiere of a visionary concept car for tomorrow’s urban mobility: the Audi AI:ME shows the ideas of Audi designers and developers for a compact car of the future. The show car offers a roomy, futuristic interior and capability for level 4 automated driving. This allows the occupants the freedom to do what they like with their time on board. The Audi AI:ME offers a broad range of high-tech features for communication, entertainment, or simply relaxation.